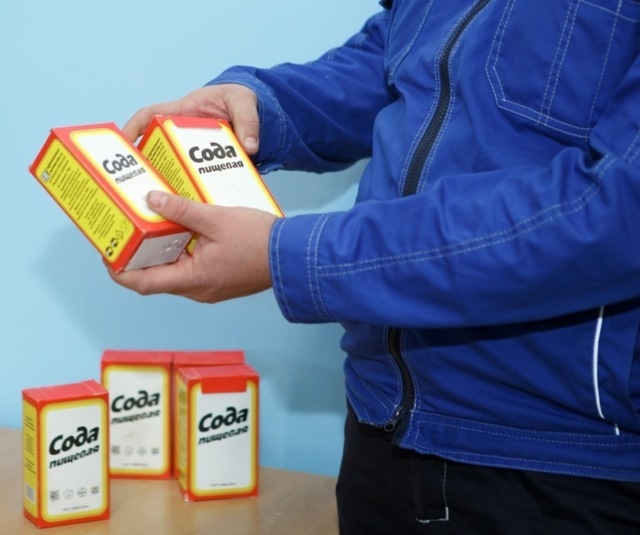 Bashkir soda company (BSC) has published new packages of baking soda. The product received the same bangs as iPhone X. However, nothing else other than design, the soda company failed to come close to smartphones from Apple. Presentation of a new package of baking soda was in October 2018, however, Internet users have noticed it only now. In their opinion, the design is almost completely repeats the style of the iPhone X and the newer XS, Max XS and XR. In comparison with the old packaging, the product has a special valve that protects the soda from spilling. He their appearance so strongly reminded the users of the network “Bang”, like Apple and Google. As stated by representatives of BSK, the new design will greatly simplify the use of the product. We dramatically changed the appearance of packaging, including cutting. Now you do not need the scissor edge to get the product only to put pressure on the pack above and it will open. Also, it can be easy to close and put in a locker. In addition, the pack has become much brighter and more presentable. Does Bashkir soda company to borrow something else from the iPhone, for example, Lightning connector for precipitation of soda or a new color of packaging, like the iPhone XR is not yet known. Next story Does the iPad Pro 2018 old keyboard Smart Keyboard?